After 6 days of receiving my papers I have finally been well enough to have a play and it was worth the wait, they are once again so very beautiful. 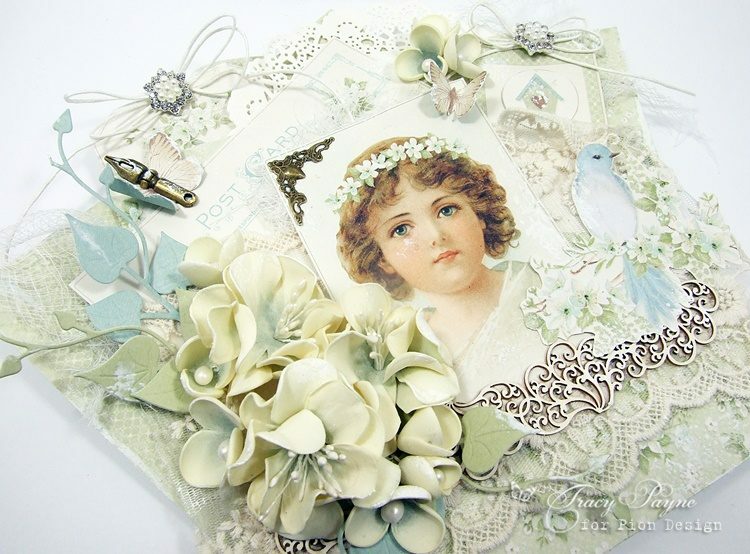 The image is from the matching Images From The Past sheet, so very beautiful. I cut out the bird from the Images sheet also and added it to the righthand side. I used the Pion Design Palette in Green II and Blue for the diecut leaves. 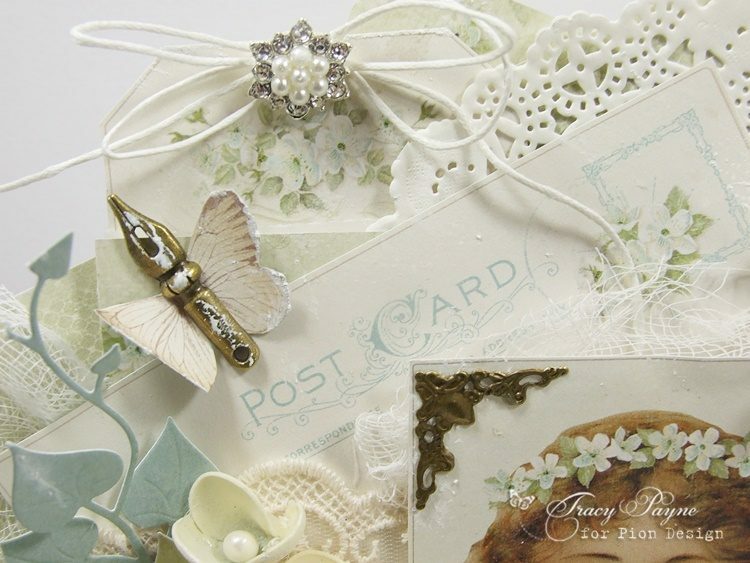 I popped a tag into an envelope and tucked it behind the back panel, I also cut out one of the postcards and of course I could not leave out my favourite butterflies from the Border sheet. 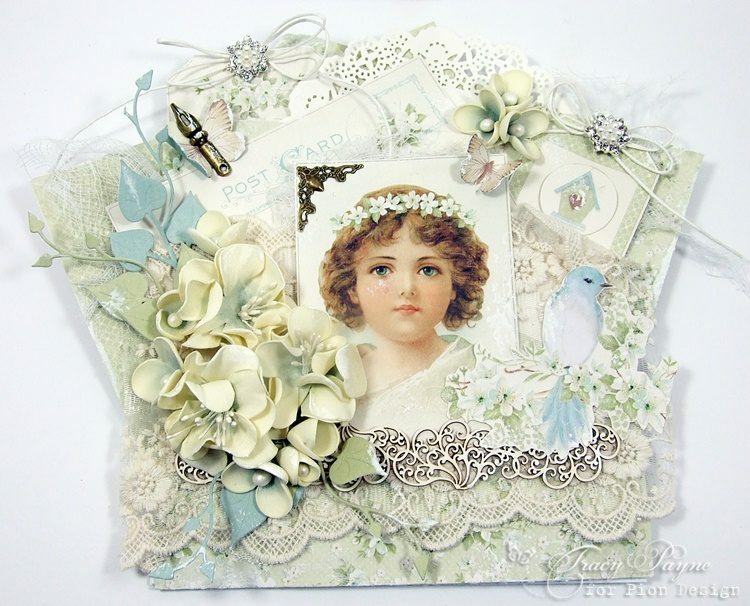 What a wonderfull and amazing card have you created this is really beautiful.